Expand the world of Pestilence even further with this booster pack. 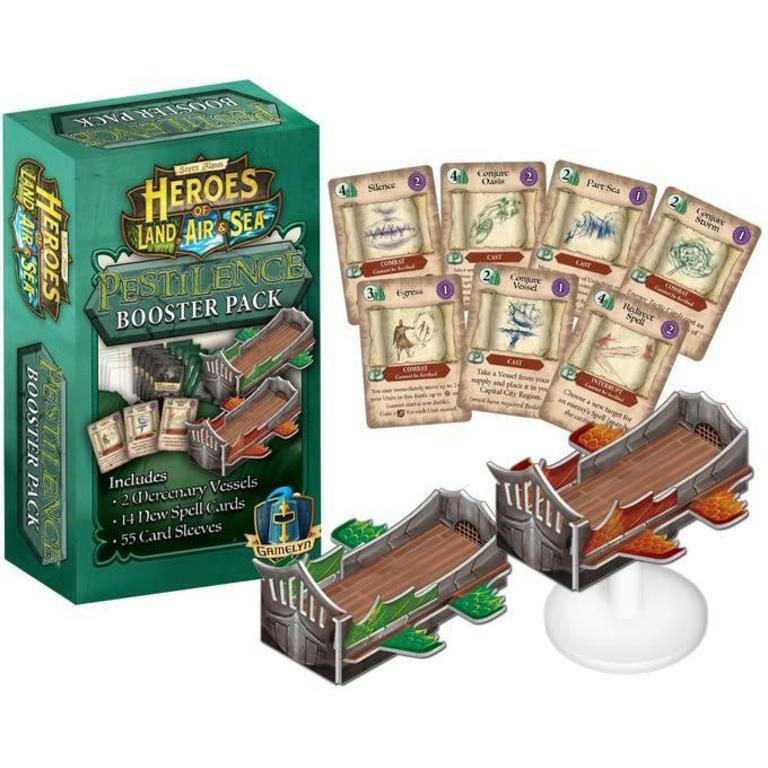 This is for use with Heroes of Land Air and Sea and requires the base game in order to play. 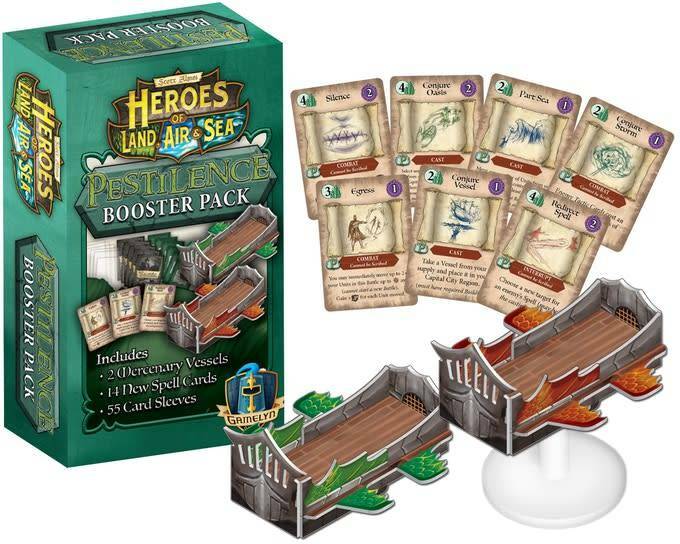 Expand your game of Heroes of Land, Air & Sea for 5 or 6 players. Expands Heroes of Land, Air & Sea to support 7 players. They're unhappy with your invasion. Power up your heroic army with these hungry mercenaries waiting to be hired into the battle. Protect your game with custom sleeves.